Many of today’s most troubling environmental and economic issues have come to seem insoluble: carbon emissions, overshoot, inequality, joblessness, and a dysfunctional food system. Can we change direction, move away from business as usual, and achieve a more sustainable, empowering, and humane economy? Through a fascinating array of illuminating case studies, this hope-filled book affirms that we can. In locations across the United States and around the globe, local participants are forging their own versions of small-scale, low-footprint, high-satisfaction lifestyles and communities. 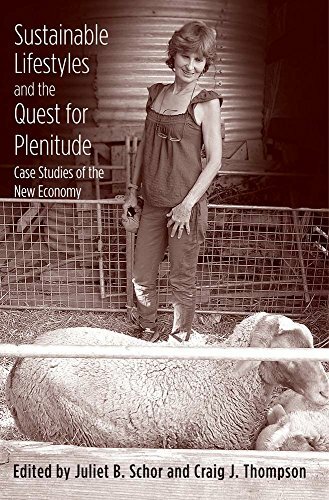 From raw-milk consumers and members of alternative agricultural initiatives to time bankers, artisan producers in the Aude region of France, and bicycle mechanics on the South Side of Chicago, individuals and small groups are exploring the practice of plenitude. Their efforts demonstrate how social and economic transformation happens and suggest new paths toward larger-scale change and a richer quality of life for all.